Alejandro Valverde and Mikel Landa are set to lead Movistar in Milano-Sanremo. The World Champion will return to the race after an absence of two years and Landa will be making his comeback to racing. Valverde is ready to race again after finishing in the second overall position of the UAE Tour. 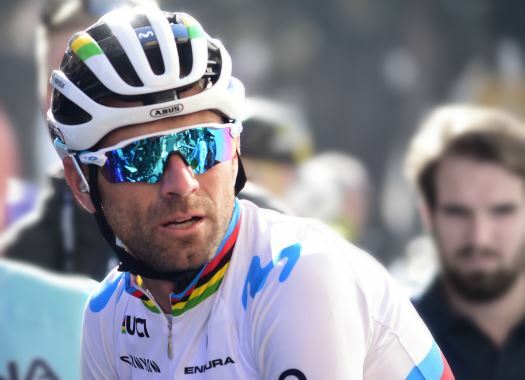 The World Champion is set to start in the Italian race after he finished in the fifth position in 2016 and the Volta a Catalunya will follow in his 2019 calendar. Landa will be returning to competition after a 53-day absence, in which he recovered from a broken collarbone he suffered in a crash at the Challenge Mallorca. The Spaniard has only started once in the 2012 edition of Milano-Sanremo, in which he finished in the 133rd position. The rest of Movistar's roster for the Italian Monument race will be announced later in the week.